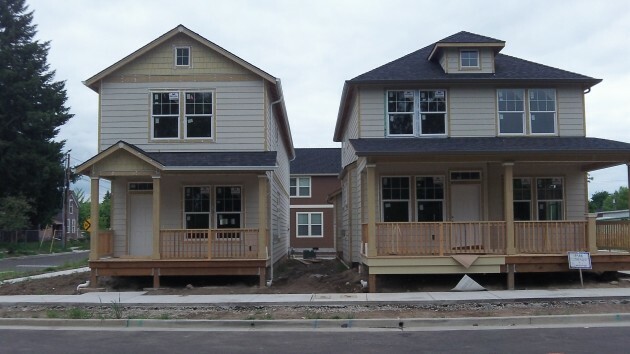 Houses number 6 and 7 are nearing completion at Edgewater Village. Two projects supported by CARA, Albany’s downtown urban renewal district, are asking for additional time to get them done. The city staff is recommending approval of both, and the CARA advisory board will take up the requests when it meets at 5:15 Wednesday afternoon at City Hall. George and Paula Diamond, developers of Edgewater Village, the riverfront housing project in which CARA invested $2.4 million, had considered changing the most recent development plan from houses and townhouses to apartments, then changed their mind but said that they’d need an extension of the project’s deadlines. Their proposal now is to have the last of 60 houses done by the end of 2020, instead of the end of August 2018. Five units have been finished, two more are close to completion, and two more would be built by the end of this year, for a total of nine. The total would have to climb to 15 by the end of 2017, to 27 by 2018, to 39 by 2019, and to 60 the following year. In the other request, Scott Lepman would like to have until the end of January 2017 to finish renovating and rebuilding the office building at 420 Third Ave. S.W. The building, once the Fortmiller Funeral Home, is to have two offices and six apartments. His original deadline is July 31 this year, but there was a delay in getting building permits. 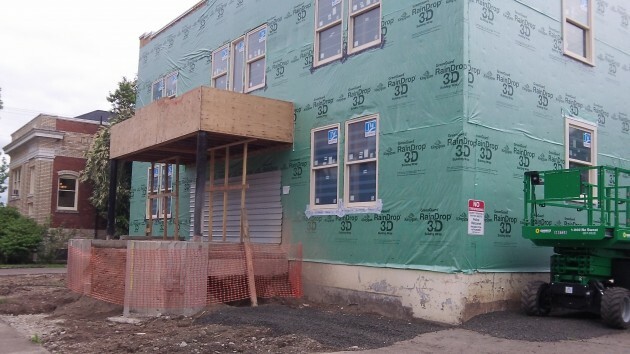 In March 2014 CARA approved $336,000 toward the Lepman project, which also called for townhouses to be built next door. But a zoning conflict prevented the townhouses, so Lepman proposed building six townhouses or eight apartments on a vacant lot at 226-234 Third Ave. S.E. CARA approved the change, which has a completion date of July 31, 2018, and there’s no request for a delay on that. The old Fortmiller Funeral Home already has new windows, among other things. The city attorney has described CARA as a ‘lender of last resort’ – meaning the wealthy developers (Lepman and the Diamonds) have no other means of borrowing (credit) or self-funding to make these projects. Does any thinking person believe this? Does any person with a conscience not see this type of spending as immoral?